Andalusia has a range of scenery that is one of the most varied and breathtaking in all Europe – as well as around 300 days of sunshine per year. There are innumerable ways to get outdoors and experience it. Based upon our wide knowledge of the region gained from many years of leading clients on walks, activities and excursions, we have put together the following Sample Itineraries, each of which can be tailored to suit the interests, requirements and budget of your group. But leave you must… We can arrange return transfers to either Málaga or Granada airport, or you may wish to take advantage of a few more days holiday and stay on in either city. We offer Post‐Tour Extensions for both, combining our favourite hotels and a range of activities. The tour begins in Málaga with a short stroll through the centre of this elegant Mediterranean city. After a light lunch near the Roman amphitheatre we depart by coach to the Alpujarra region, our base for the first two nights of this mountain‐coast‐city itinerary. Our rural hotel in the village of Capileira, officially the second highest in Andalusia, is built in a traditional style and offers spacious, charming accommodation, as well as an attractive terraced garden and large swimming pool. Today we get into our stride with a trek through the Poqueira Gorge, a steep‐sided ravine which shows contrasting aspects of Alpujarra life. On the one side are three white villages where in the twisting streets and alleys you will find shops offering various crafts and cosy bars and restaurants; on the other, oak and pine woods, meadows of wild flowers and old farm buildings, where the only sounds are of birdsong and rushing crystal‐clear streams. After time to relax back at the hotel, we’ll explore a little more of Capileira, stopping in a traditional bodega for a tasting of local cold cuts, cheeses and wines before dinner in one of the village’s welcoming restaurants. We depart the mountains and head towards one of the last stretches of virgin coastline in Spain, the Natural Park of Cabo de Gata‐Níjar. Our walking trail takes us along the headlands of this volcanic massif with superb views over the Mediterranean and then drops down to the sheltered coves and beaches of the shoreline. There is time to cool off with a swim in the sea, enjoy a leisurely picnic lunch and then continue the walk into San José. This lively small town, based around the original fishing village, will be our base for the next three nights, staying in a comfortable 4‐star hotel which overlooks the sea and has direct access to the beach. The picturesque village of La Isleta del Moro is where we take to the waters in a fun morning that combines snorkeling in the clear, turquoise waters and sea‐kayaking around the headland, exploring coves and bays. After all this exercise you’ll be ready for a well‐deserved lunch — and at the local Senior Citizens Club (!) they serve up hearty fish stews, paellas, and fish dishes to satisfy any appetite. The rest of the day is free time, to sleep off lunch with a siesta, lie on a beach, or explore the coast further on foot before an evening checking out some of the local bars and restaurants in San José. Our journey to Granada takes us through the Desert of Tabernas, a stark, beautiful landscape which resembles the American Wild West. Indeed, the famous “Spaghetti Westerns” were shot here and we will visit the sets used in these movies at the Mini Hollywood theme park, before setting off on a mountain bike ride through the desert, visiting other film locations. Later, near the city of Guadix, get an insight into troglodyte life when we see around a cave dwelling by its owner. Granada, the last kingdom in Spain to be ruled by the Moors, is the focus of this afternoon, with a private tour of the stunning Alhambra palaces and the Albaicín quarter, both UNESCO World Heritage Sites. Granada sits at the feet of Spain’s highest peaks, the Sierra Nevada, and is a paradise for mountain bikers. From nearby Monachil we will set off on an exhilarating route through some of the most beautiful scenery in rural Andalusia, led by local guides who know the trails intimately so ensuring a safe and fun ride. After a picnic lunch we return to Granada for a free afternoon to relax or explore the city’s many fascinating backstreets and alleyways. The day ends in the Sacromonte, a semi‐rural district on the edge of the city, where we will see a lively performance of flamenco in the local gypsy “zambra” style. Now for something completely different! An hour’s scenic drive from Granada on the old road to the coast we reach the fast‐flowing waters of the Río Verde, fed by natural springs which ensure an all‐year flow. The canyon of the Río Verde is an oasis of greenery and calm and an ideal venue for a sport known as “canyoning”: navigating down a water course by means of climbing, swimming, abseiling and jumping. Our expert English‐speaking monitors will show you how. At the end of the route we’ll relax with a gourmet picnic before making our way back to Granada for an evening out on the town to wrap things up in style. Today we say our farewells before embarking on the journey home or onward travels. But, if you can spare a few more days in Andalusia we can fix you up with a package of hotel and activities in any of the major cities: please ask us about our Post‐Tour Extensions. 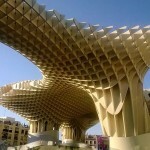 Seville is undoubtedly one of Europe’s most impressive cities. Its monuments are a showcase of the rich history of Spain: the largest Gothic cathedral on earth, the sumptuous palaces and gardens of the Alcázar, museums and churches tucked away in the old Jewish quarter of Santa Cruz. We will explore all of these today on an expert‐led walking tour, as we get an insider’s perspective on this intriguing city. In the evening we will attend a vibrant flamenco show in a thematic museum, before going for tapas Sevillano style – seeking out the liveliest bars and sharing dishes of exquisite jamón serrano, local cheeses, fresh seafood and much more. Our first walk on the tour is from the delightful pueblo blanco of Vejer de la Frontera, which sits on a knoll overlooking verdant farming countryside in the province of Cadiz. Starting in the narrow lanes of the old town, we will walk towards the Costa de la Luz on a lovely route, much of which is through pine forests. A leisurely lunch in the small resort of Caños de Meca is followed by a walk along the beach to Cape Trafalgar, site of the legendary naval battle of 1805. This evening explore the picturesque old quarter of Vejer where our charming hotel is located on the pretty Plaza de España. The Straits of Gibraltar, with views to Morocco, the city of Tangiers and the Rif Mountains, form the backdrop to today’s walk. Bolonia, where it begins and ends, is known for the impressively vast dune that stands at one end of its golden sand beach and the Roman site of Baelo Claudia. Here we will see well‐preserved ruins of the forum, temple, theatre, baths and a fish‐sauce factory (of critical importance, as you will learn!). We then set off up the sand dune, our 4 – 5 hour walk continuing along the cliff‐tops to the lighthouse at Punta Camarinal before we head back to Bolonia to enjoy some free time on the beach and then dinner watching the sun set over the Straits. Grazalema National Park, with spectacular mountain scenery and abundant flora and fauna, is one of the outstanding areas in Andalusia for walking. The name of our route, “The Goatherd’s Leap”, derives from two rocky promontories separated by the distance of a fit and agile leap — but this does not lie on our path so only moderate fitness and agility is required! The linear walk ends in Benaocaz, where we will have lunch before being driven to Grazalema, one of the region’s celebrated “white towns”. Our hotel has some short walking trails in its immediate vicinity, a pool for the summer months, and lovely views over the red roof tops of the town’s houses. Ronda, set atop a rocky plateau with a chasm‐like gorge spanned by a daring 18th century bridge, is one of Spain’s most picturesque towns. It is best seen by approaching on foot, and today’s walk takes us from the village of Benaoján via some lovely rural scenery to end with wonderful views of the gorge and the Puente Nuevo. The final steep climb is amply rewarded by lunch in the tranquil gardens of a lovely restaurant with views back across the route. In the afternoon we will visit Ronda, its monuments, attractive parks and noble bull ring in the company of a local guide, who will tell us of the curiosities and rich history of this unique Spanish town. En route to Granada we stop to explore the surreal landscape known as “El Torcal de Antequera”, a karst limestone outcrop with some striking rock formations, gullies and passages which we’ll explore on a two hour loop walk. This afternoon we visit the Alhambra — the palaces, fortress and gardens which define so much of Granada’s illustrious past. An expert guide will interpret this unique and magnificent complex, and then take us on an evening stroll through the historic Albaicín district to enjoy spectacular views and uncover quiet backstreets where a sense of history is still palpable. We dine in a local restaurant, enjoying the rich diversity of the foods and wines of Granada Province. The Alpujarra, on the southern slopes of Sierra Nevada, is a corner of Andalusia which shows rural life as it has been lived for centuries. Criss‐crossed by trails which meander through orchards, cultivated terraces, meadows and crystal‐clear mountain streams, the area offers some great hiking. On the steep slopes of the Poqueira Gorge we will find three charming white villages, with crafts such as basketwork, weavings and pottery, and a cuisine which uses fresh local ingredients such as mountain‐cured ham, peppers and honey. After lunch in one of the welcoming local restaurants we head back to Granada, where there is free time to explore the old city centre and its bars serving superb local wines — and complimentary tapas! Olives, as far as one can see, and hills dotted with Moorish castles form the landscape as we journey north from Granada. Our base tonight is the pretty white village of Zuheros in the Sierra Subbética, a beautiful Natural Park of rugged limestone valleys and soaring peaks. From our delightful rural hotel we will embark on a walk around the Bramadero hill and the attractive Bailón river valley. It’s possible we will spot Griffon Vultures, as well as flocks of grazing goats and sheep and a wide array of wildflowers. This evening we dine in a restaurant set underneath a floodlit castle, sampling the excellent local dishes such as Roast Suckling Pig, Partridge Paté and Goat’s Cheese & Walnut Salad. “Liquid gold” is what many call the extra virgin olive oils produced in this region. In Baena we visit a mill founded in 1795 where we learn about the process and taste their oil, 100% organic. We continue to Córdoba, a city of incomparable history. Once the capital of the Moorish dominions of “al‐Andalus”, the highlights are its unique mosque‐cathedral, the simple synagogue in the old Jewish quarter, and its numerous floral patios. At tonight’s farewell dinner we will sample local dishes such as orange and codfish salad, spinach and pine nut croquettes, and honeyed pastries based on recipes from the times of al‐Andalus. Departure. Córdoba is linked by high‐speed train to Madrid and Málaga, allowing for quick and easy onward transfers to many destinations. Alternatively, you may wish to stay on in Córdoba or this region for a few more days in which case we can help you with our packages of hotel + activities — our Post‐Tour Extensions. Great guides: knew so much that you would not find in a guide book.